Chairman of The National Bankers Association, based in Washington, DC, Preston Pinkett, paid a courtesy call on Minister of Financial Services Hope Strachan, February 8, 2017 at the offices of the Ministry. He was accompanied by Bahamas Consul General to Washington, DC, Paulette Zonicle. 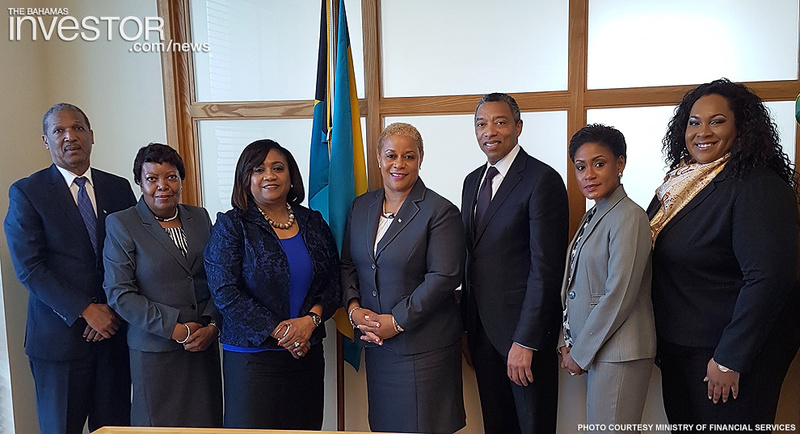 Pinkett was in The Bahamas to meet with members of the local banking industry. Japan and The Bahamas have signed a new protocol as part of the bilateral Tax Information Exchange Agreement. Watch a ZNS Network news report here. Deputy Prime Minister and Minister of Works and Urban Development Philip Davis has said that the strategic plan for Bahamasair is focused on addressing a restructuring of the domestic routes and the potential outsourcing of low density routes to reduce the airline’s losses.